Confidence and courage can take you further than anything you have on your resume. They are the bridge between who you are and who you want to be, if you ask me. They inspire you to change. They push you to act. Without them, you will always remain in your comfort zone wondering where your life is going and why, perhaps, you're not happier with what you have. The good news about confidence and courage is that they are literally always within your reach. The moment you declare, "I can do it, so I will do it now" can be life-changing. Many of our battles I feel are fought in our heads with our own selves. Sometimes it might be wise to just put up the white flag and do what you've always dreamed of anyway. Reflecting on a few things this afternoon. 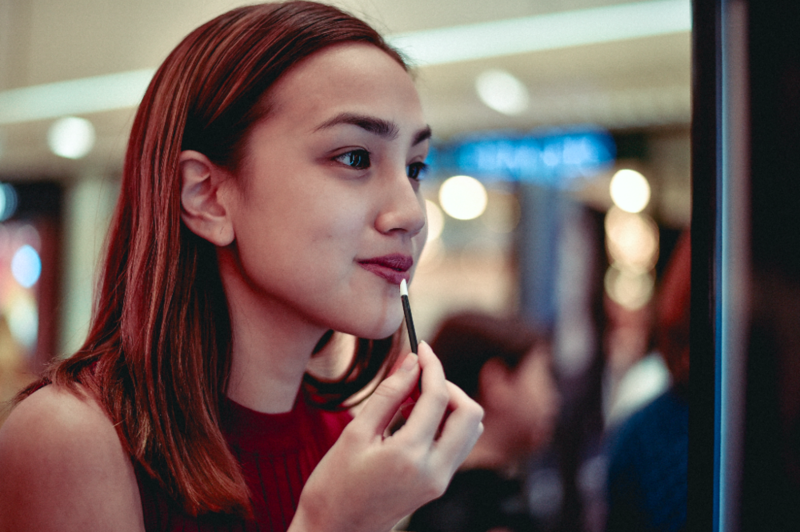 ^_^ I actually just want to share with you some photos from the Project Vanity x Estee Lauder Lip Party last Saturday! It's a chill event, as with all PV events. We had some Nutritious facials, got to try the new awesomazing Lip Potions, and learned a few tricks from Estee Lauder. I shared a few on mine too, namely how to do dimensional eyebrows using three colors! It was great to meet readers and get to chat with them about their lives and beauty issues. ^_^ Thanks for coming guys even though it was super traffic that day. I really appreciate it. While I was at the Estee Lauder counter in SM Aura I couldn't help but ooh and ahh at the lovely holiday sets they have on display. This is your chance to get your Estee Lauder faves for less their usual cost since you also get other products + a pouch or a box in the set. If it's time to take your gifting to another level, look no further than these gorgeous holiday offerings! The complete list of the sets and their prices are in the last image of this photo album. Oh wait before I let you go to your weekend, I must add that if you buy Php4,500 of Estee Lauder products you can get the Holiday 2015 Blockbuster Collection (worth Php25,000) for Php3,500. The other promo is equally cool: with every Php2,500 purchase of Estee Lauder products, you can avail of the Color Portfolio Eyeshadow Collection for Php2,900. Enjoy browsing and happy shopping!